Features: We invite you to live life on your own terms. Situated perfectly near the great shopping and dining of Rice Village and the Galleria, you'll have the best of Houston right at your doorstep. Our spacious apartments are within walking distance to the MetroRail, and provide easy access to downtown Houston and the 610 Loop. A shuttle to and from the Medical Center makes your commute even easier. 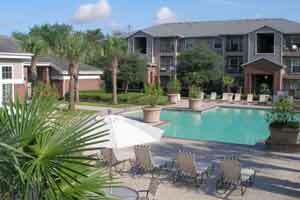 Great Houston apartments, great service and the amenities you deserve. All at a location that's exactly right, exactly where you want to be.